Association of Nature Center Administrators (ANCA) and the Association of Zoos and Aquariums (AZA). Additionally Science Center members receive special benefits at various attractions throughout the season and change on an annual basis. The Association of Zoos and Aquariums is dedicated to the advancement of zoos and aquariums in the areas of conservation, education, science, and recreation. AZA represents more than 200 institutions which meet the highest standards in animal care, provide a fun and educational family experience, and dedicate millions of dollars to scientific research, conservation, and education programs. Squam Lakes Natural Science Center first received accreditation in 2006, and again in 2011, and 2016. Becoming a member of the Science Center gives you discounted admission to AZA-accredited zoos and aquariums that participate in the AZA Reciprocal Admissions Program. Members of the Association of Nature Center Administrators embrace best practices for managing a nature center. They offer excellent services to their community in the form of environmental education, outreach and partnerships, stewardship, and sustainability. Becoming a member of the Science Center gives you benefits from ANCA reciprocal members. Be sure to bring your Science Center memberhsip card on your visits. Science Center members may visit Canterbury Shaker Village at no charge. Science Center members may visit the two Mount Washington Observatory museums: Extreme Mount Washington atop Mount Washington and the Weather Discovery Center in North Conway, at no charge. Members may also schedule a free weather station tour (advance registration required and based on availability). Offer not valid on special event days. Science Center members may visit The Fells Historic Estate and Gardens in Newbury at no charge. 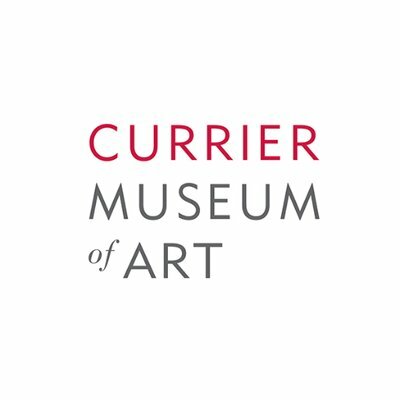 Science Center members may visit The Currier Museum of Art in Manchester at no charge. Science Center members may visit the McAuliffe-Shepard Discovery Center in Concord at no charge. Planetarium programs are priced separately. Science Center members may visit the Children's Museum of New Hampshire in Dover at no charge. Very well presented exhibit on the wildlife of New Hampshire. Coming from the UK, we had some concerns about the moral question of keeping wild animals in cages. This was set against the very obvious great condition of the animals on display and the effort taken to educate on the natural world - a video or even holograph would not have the same impact. The reason we give it only 4 stars is that not enough effort is made to explain why the animals, particularly the large animals, are kept in relatively small enclosures. Looking at the negative reviews that focus on the moral question, your responses are very encouraging. Perhaps you should cut out the middleman and make more effort at the Centre to explain why the animals are maintained in captivity from a conservation perspective.